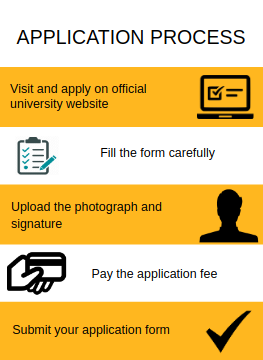 UPSEE 2019 application forms can be filled online. 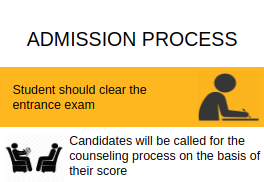 Visit the official college website and register for the entrance exam. Select and fill the Application form carefully. Candidates required to appear in the exam. Pay and Submit the Application form. Admission is given on the basis of UPSEE 2019 exam score. He / She needs to appear for the GATE 2019 and get a valid score. Merit list will be prepared on the basis of score obtained in the exam. Candidates must have passed three years Bachelor degree in any stream without any grace from a recognized university. The candidate must have pursued BE / B.Tech degree from a relevant stream with a minimum aggregate of 50% marks from recognized board of education to apply for admission. The eligibility criteria for joining IMS Engineering College is clearing the UPSEE exam. The students can get admission based on management quota also. The cut-off for the course is 1000 AIR in UPSEE exam. For the management quota students, they should get a minimum of 80% of marks in 12th. There is a separate examination conducted by the university for getting admission. 15% seats of the total sanctioned intake come under this category. The admissions under the above quota will be made as per the directions of U.P. State Govt. and Uttar Pradesh Technical University, Lucknow. I got into this college through an entrance exam known as UPSEE i.e Uttar Pradesh State Entrance Exam. My general rank was 33000 and OBC rank was 11555. This is the only way that most colleges of AKTU follow but after I spent some days I came to know that many people were admitted through direct admission. I was taken aback by the fact that I went through the rigorous procedure of taking the entrance exam and counselling, making loads of documents for the same but these people admitted under management quota didn't do anything. Eligibility criteria for admissions in IMS Engineering College, Ghaziabad are 12th pass and clear UPSEE entrance examination. I took UPSEE entrance exam and secured rank 15535. The cutoff for my course is according to the entrance merits. When I got admission it was securing UPSEE rank under 25000 . The eligibility criteria for getting admission in IMS Engineering College is passing the 12th with more than 65% and passing the diploma. The students should clear the UPSEE exam to get admission in this college. For admission in BTech course...one must have secured 75%in PCM if prefer any core branch or 75%in PCB for biotech. Or else one can get admission on the basis of upsee rank or jee rank. If anyone applies for direct admission, then they have to give pen-paper test n interview. To take admission in my college for EC branch, you should have passed in PCM stream (10+2) with an aggregate of at least 75%. If you want to take admission through management quota and there is another way to get admission is to crack AKTU Test with a good rank. I got it through uptu. IMS Engineering College is good for cs and it as it provides good opportunities. Although co-curricular activities are less, it's a good college. Eligibility criteria for getting into IMS Engineering College is 12th pass. UPSEE entrance exam is required to get into this college. The student must pass the 12th grade with the good percentage and UPTU is the entrance exam to get the admission in this college. The cutoff is around 70%.